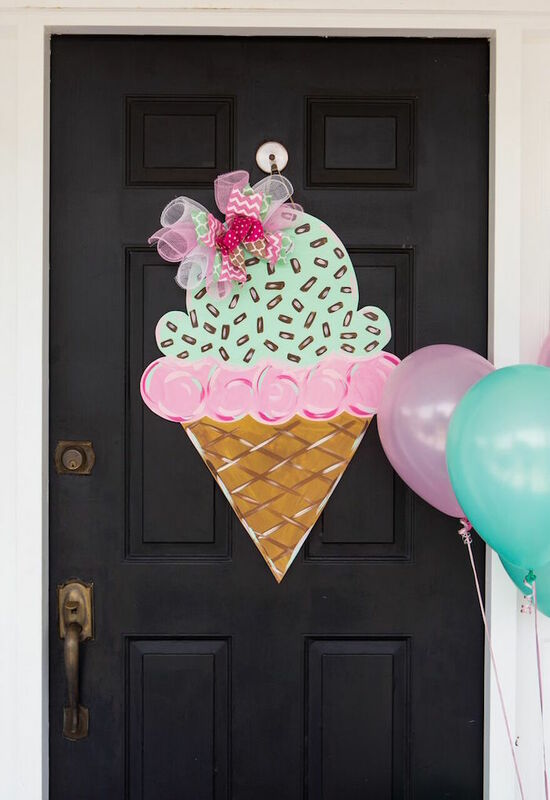 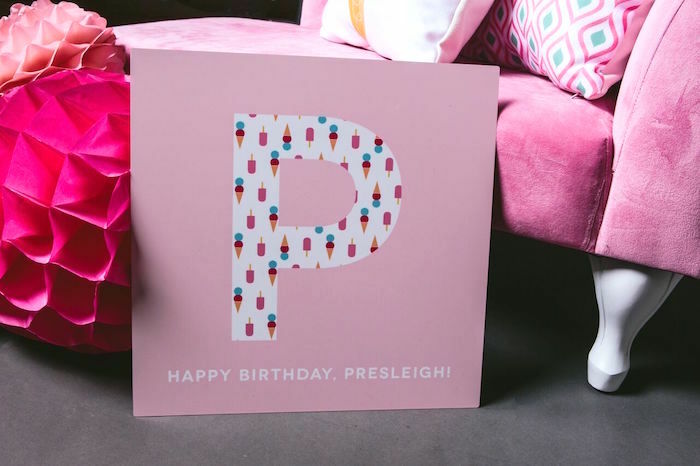 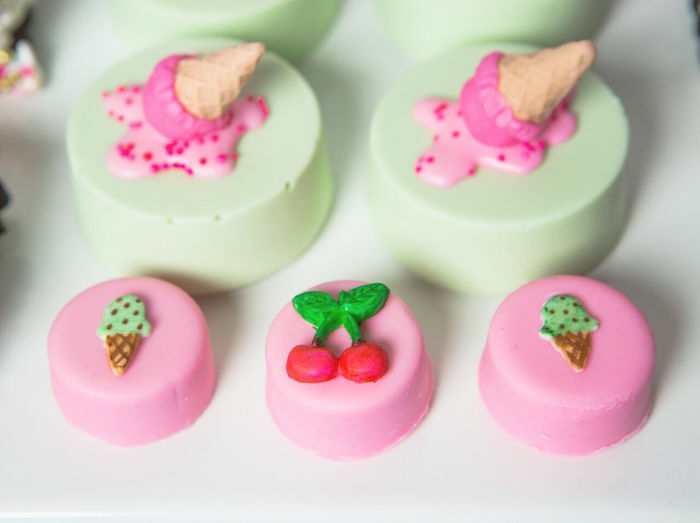 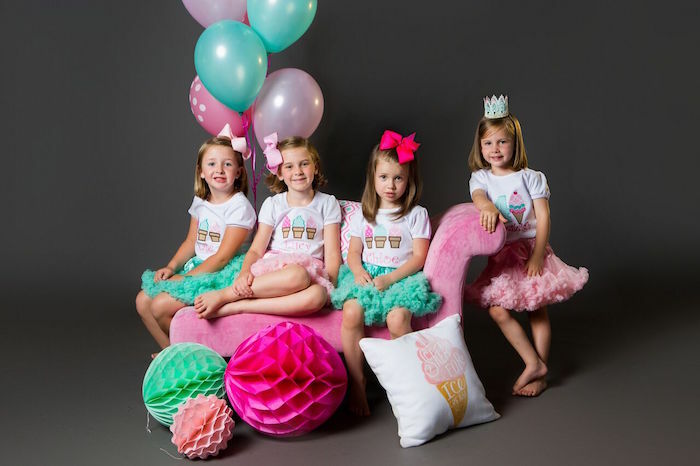 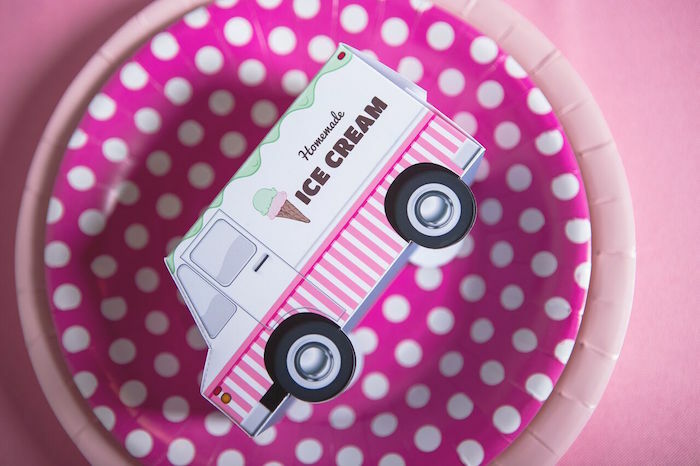 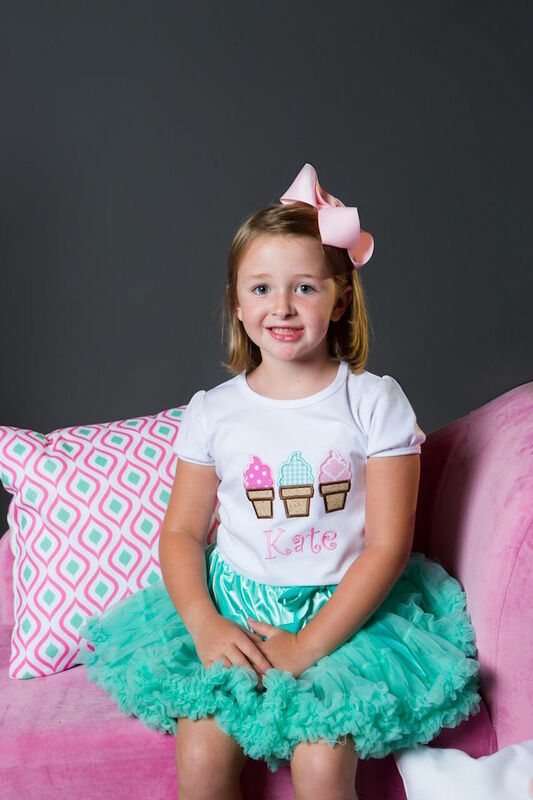 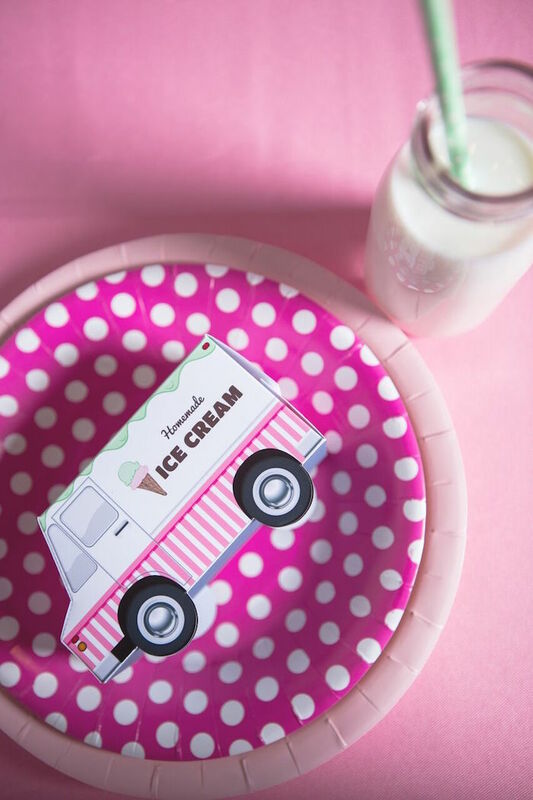 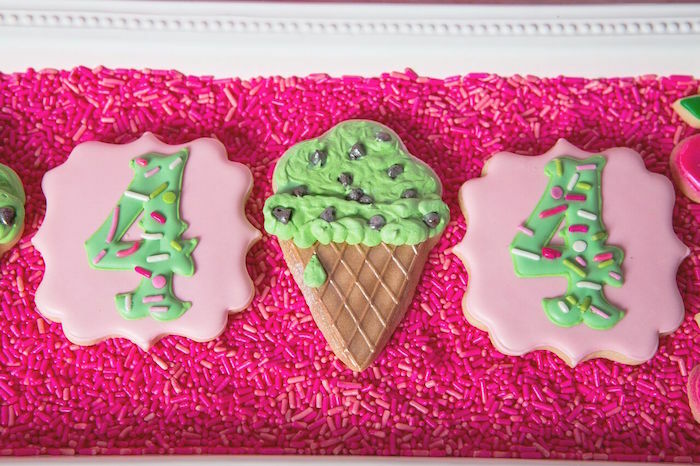 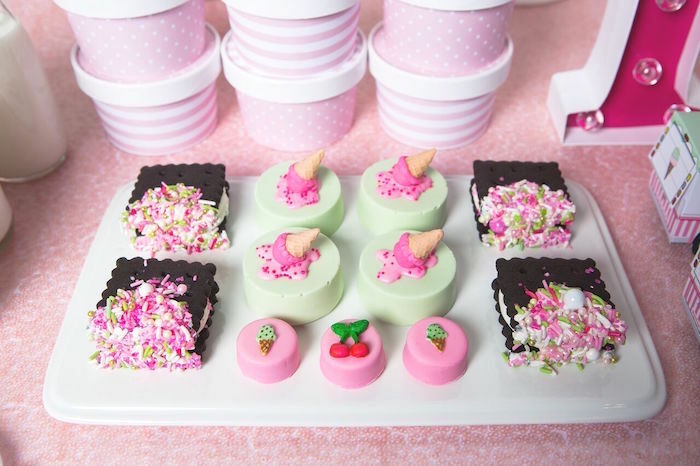 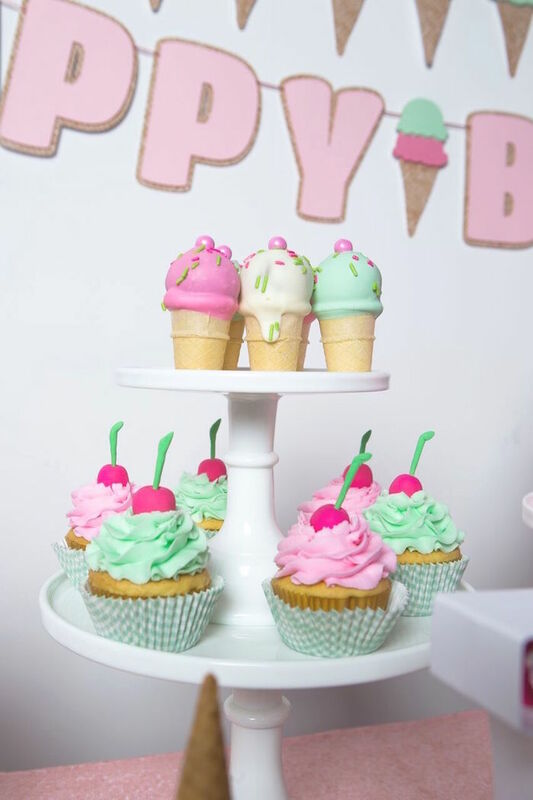 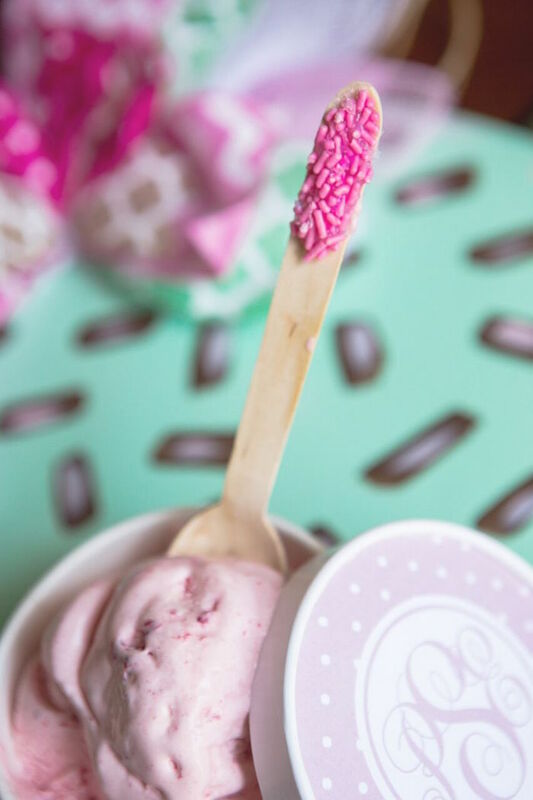 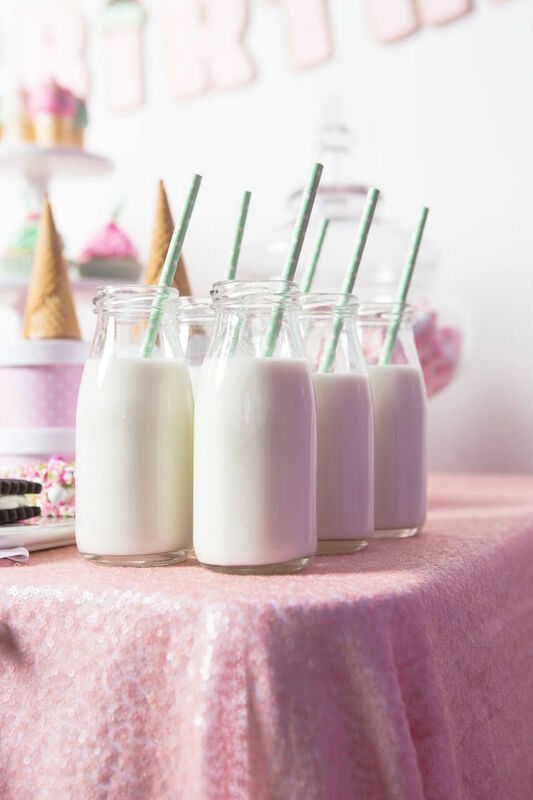 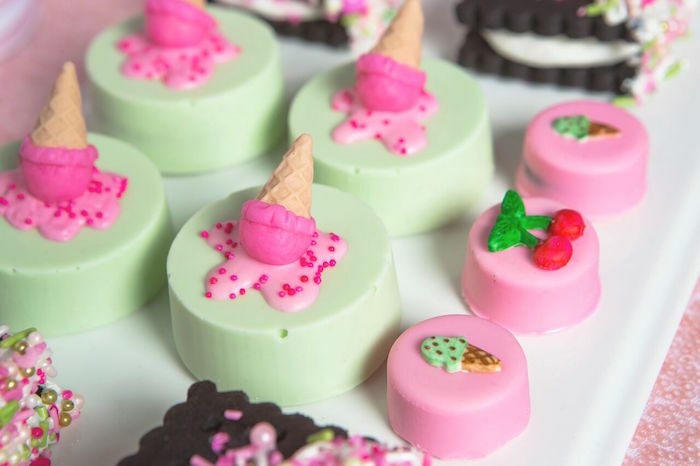 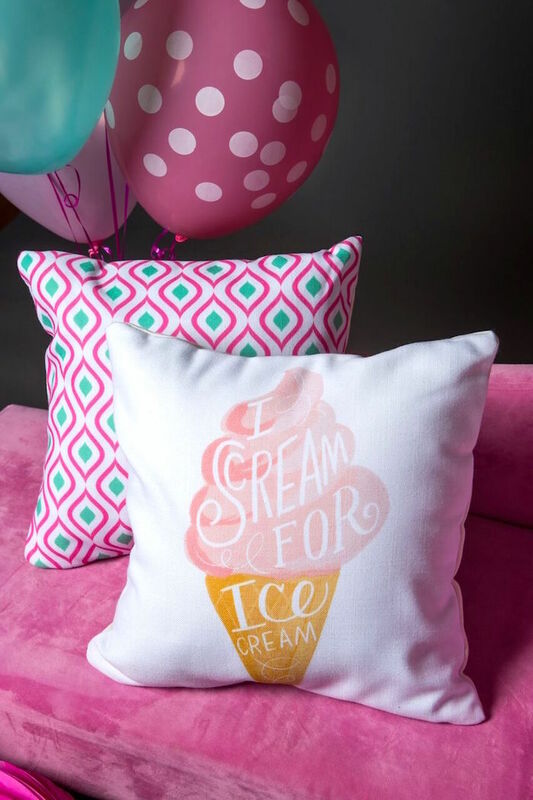 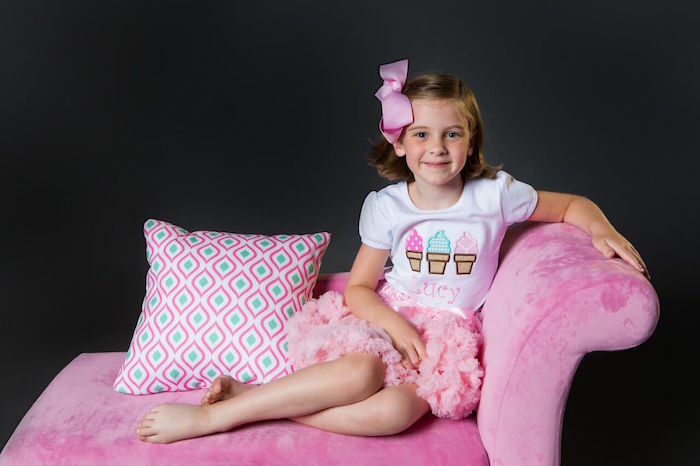 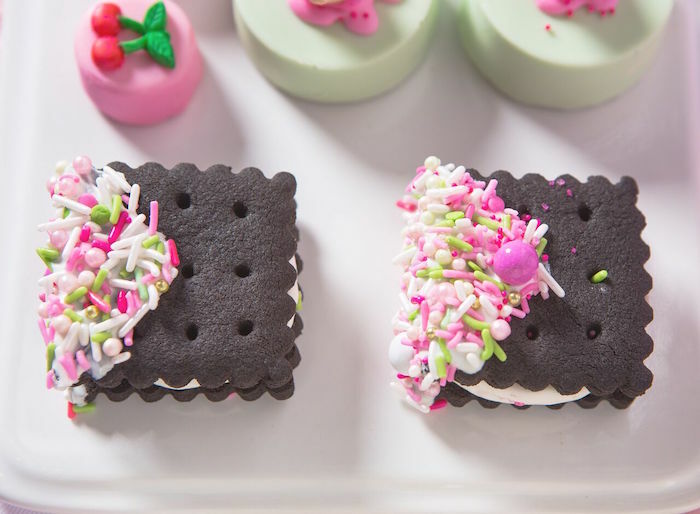 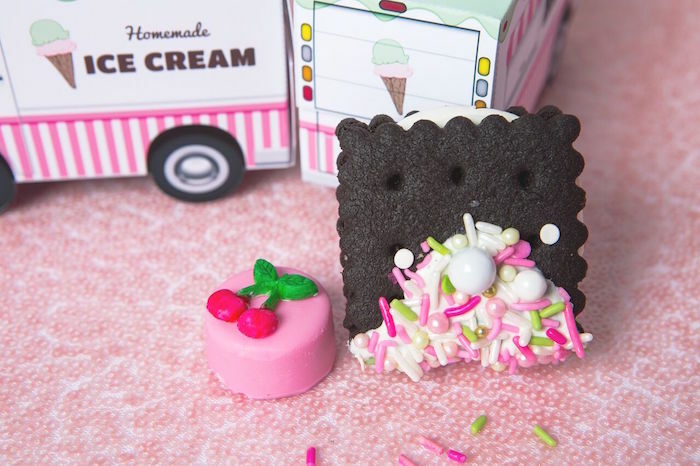 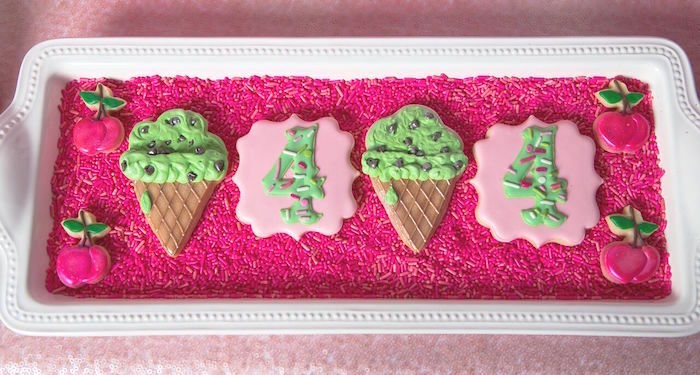 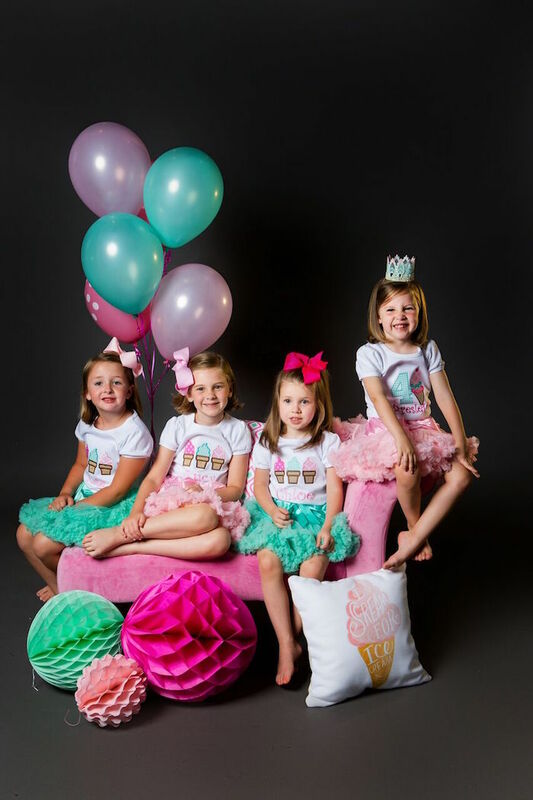 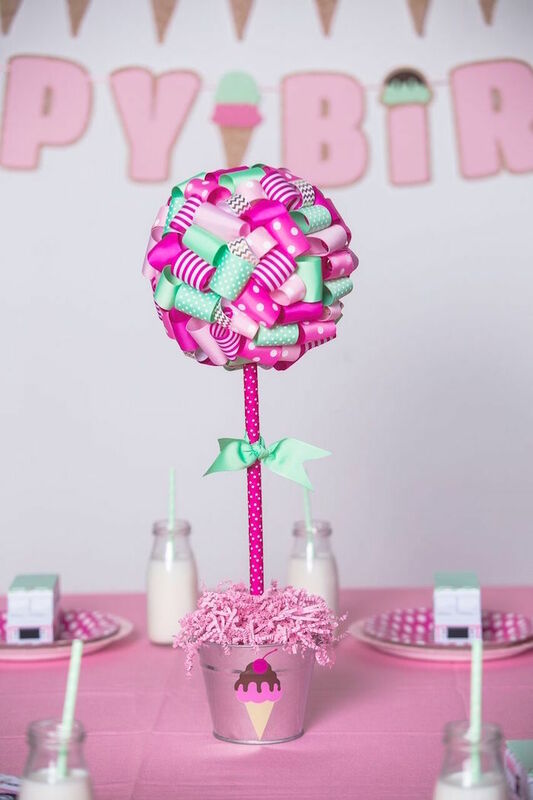 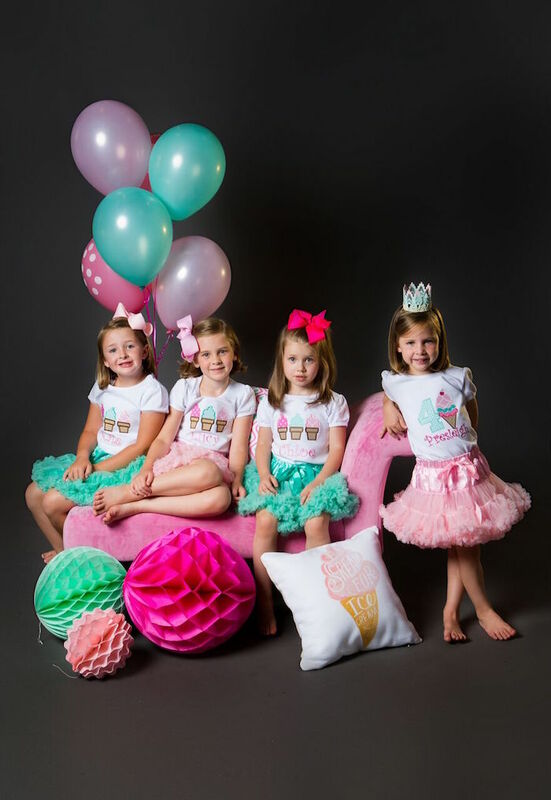 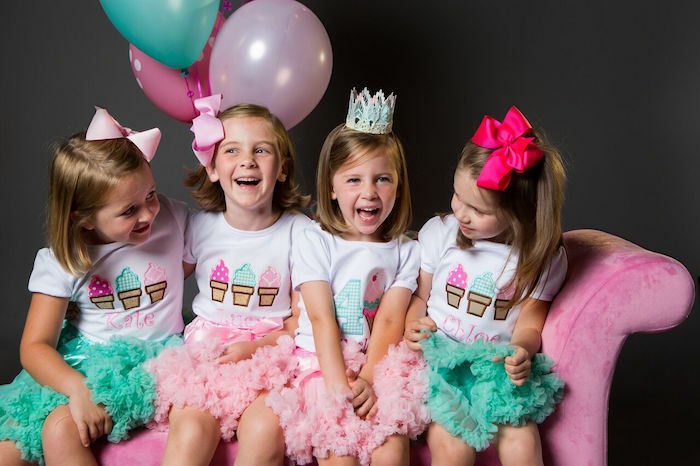 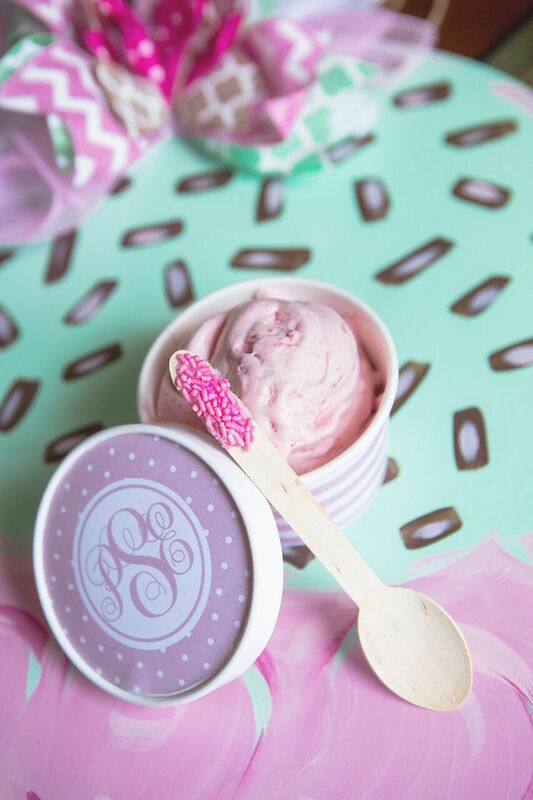 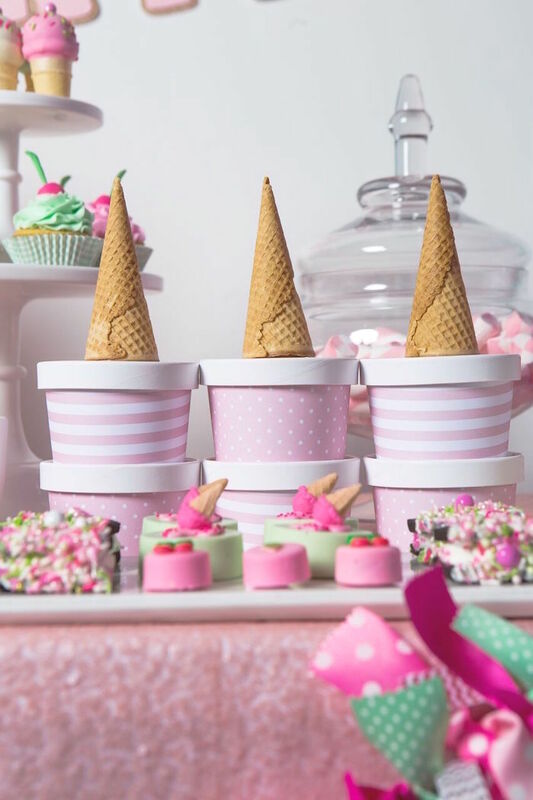 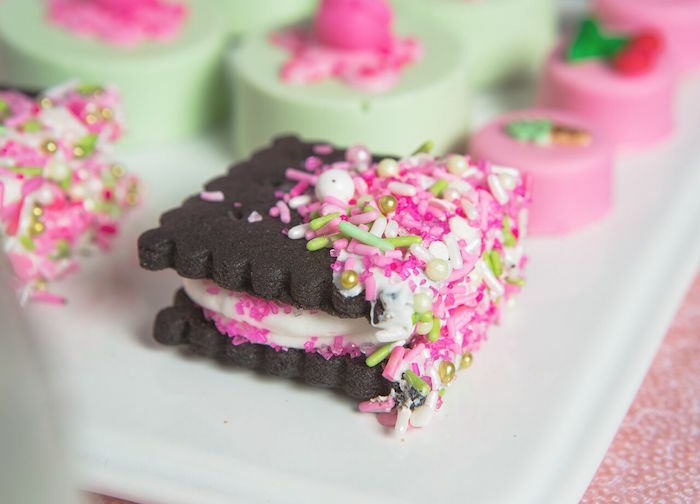 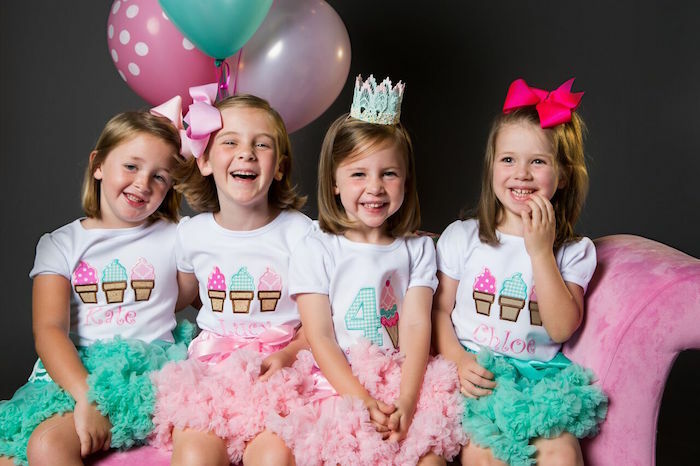 Positively swooning over this adorable Ice Cream Parlour Birthday Party submitted by Bethany Farrar of Sweet Georgia Sweet out of Atlanta, GA USA! 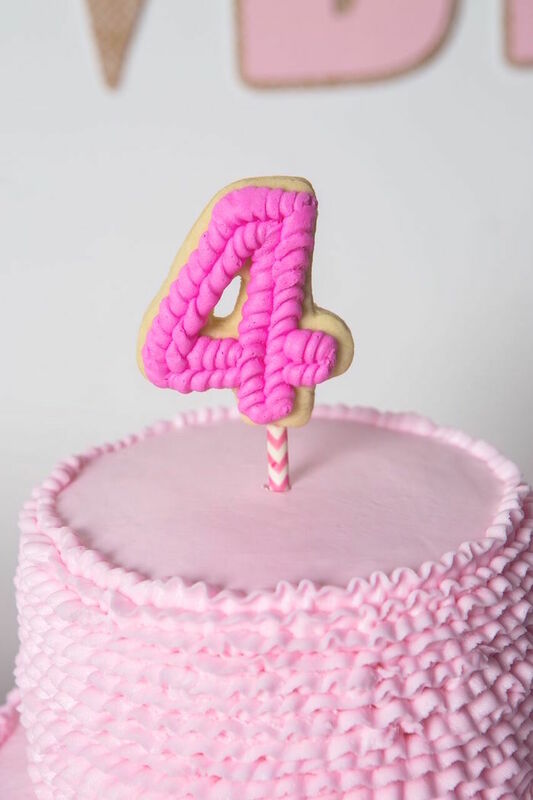 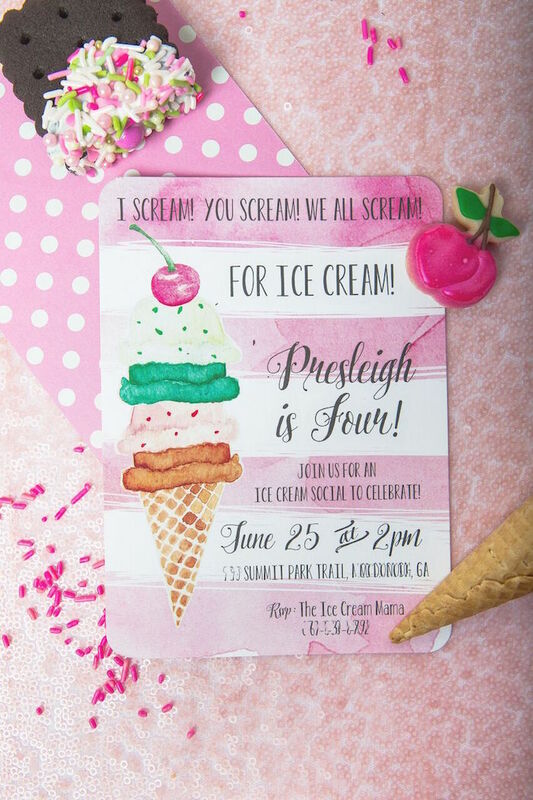 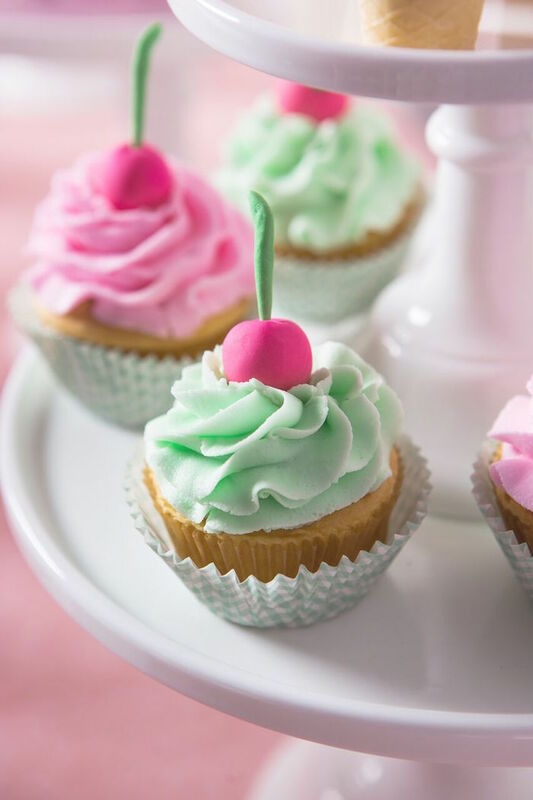 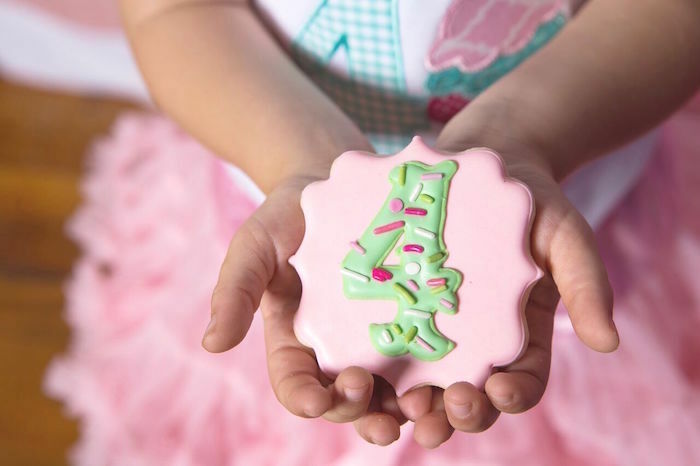 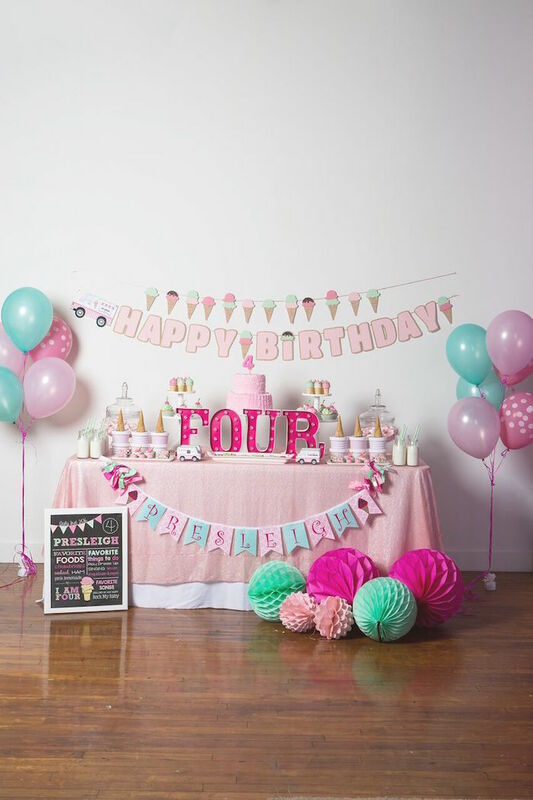 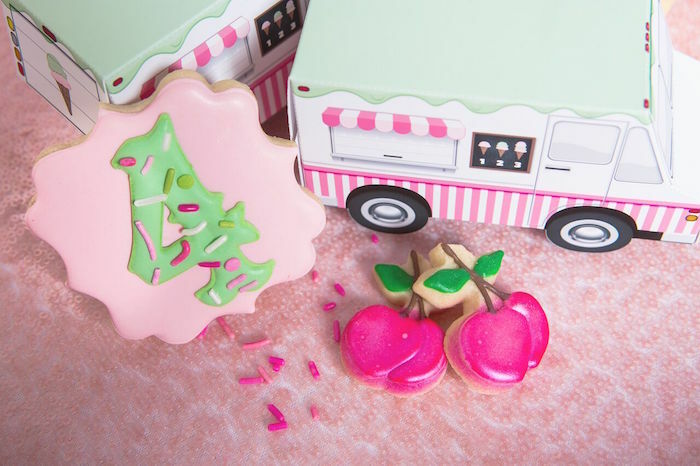 Featuring the cutest custom sweets, darling banners + bunting and a photo booth to remember, this event is sure to knock you off the charts with sweet party details! 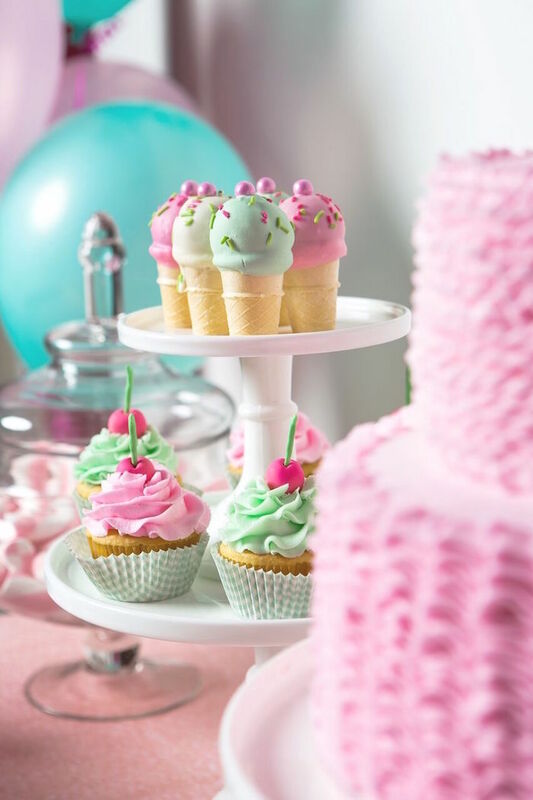 So, don’t wait another minute- dive into this delightful and delicious occasion before Summer-time is up! 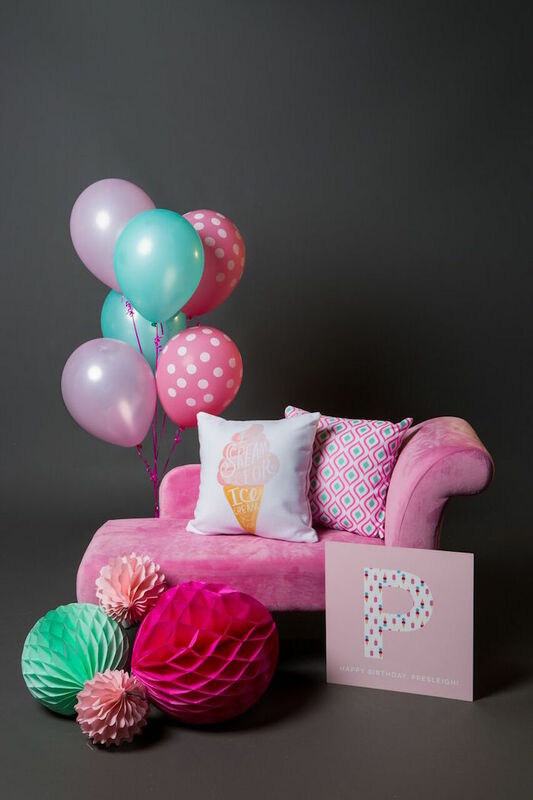 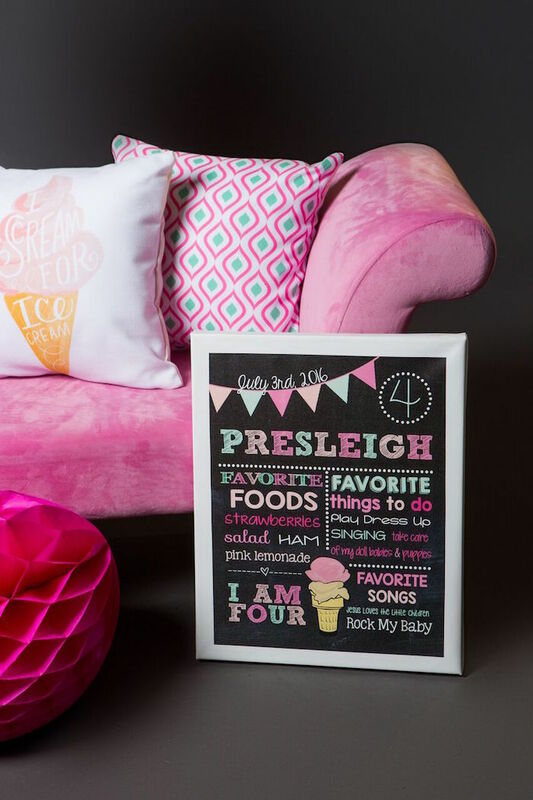 And a fabulous photo booth set up with a pink chaise lounge! 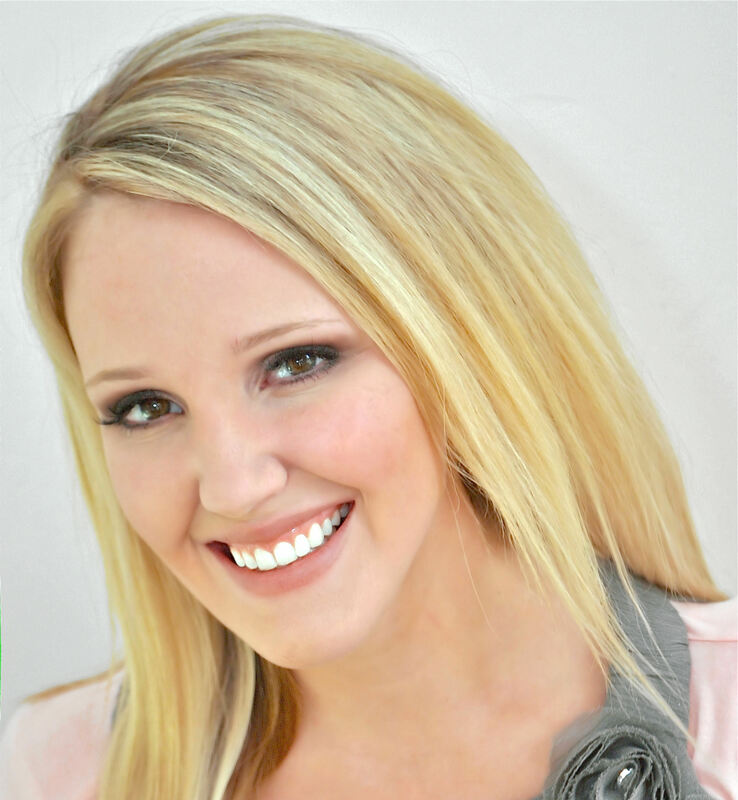 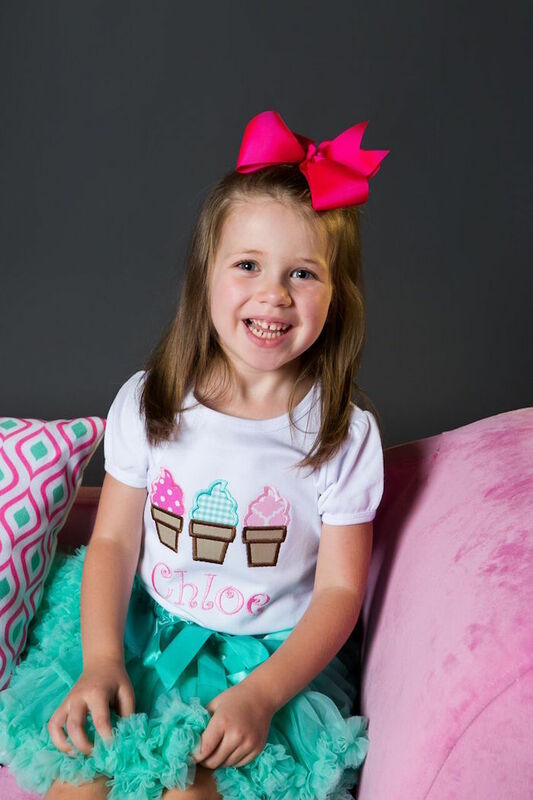 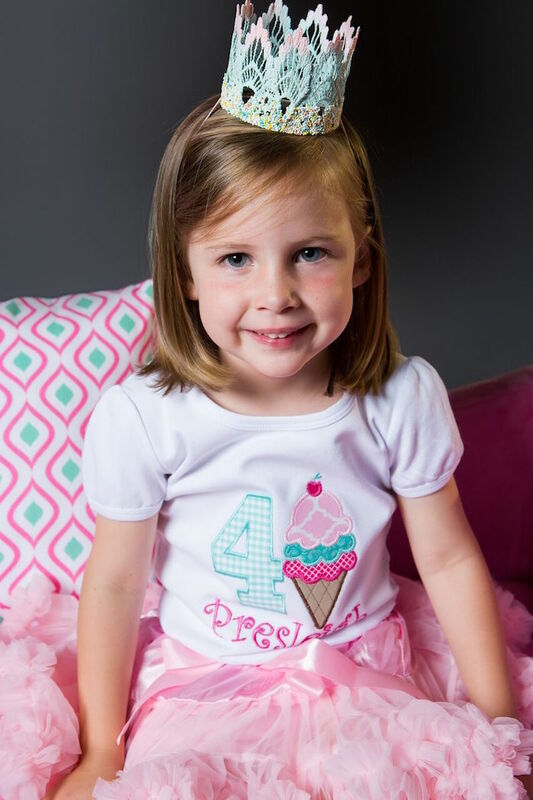 This is what Bethany shared about the party- “Recently I had the pleasure of throwing an Ice Cream Party for sweet, little Presleigh. 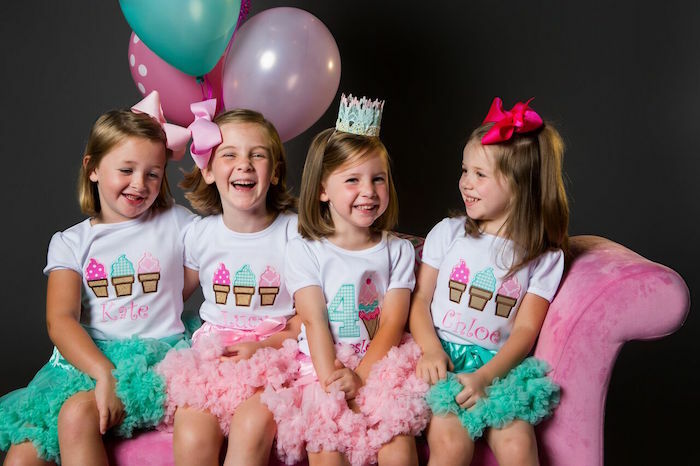 Presleigh is the only girl in a sea of brothers, so it was high time she had a birthday party fit for a queen. 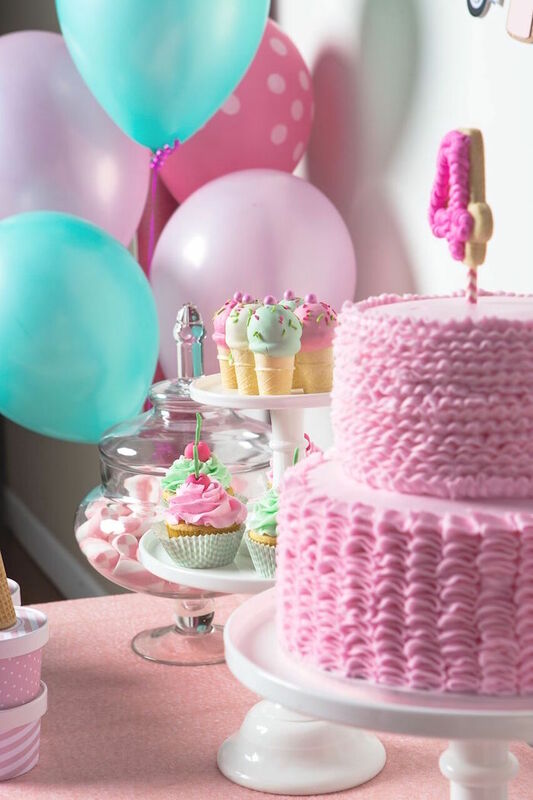 When starting to plan the party, I first decided on a theme. 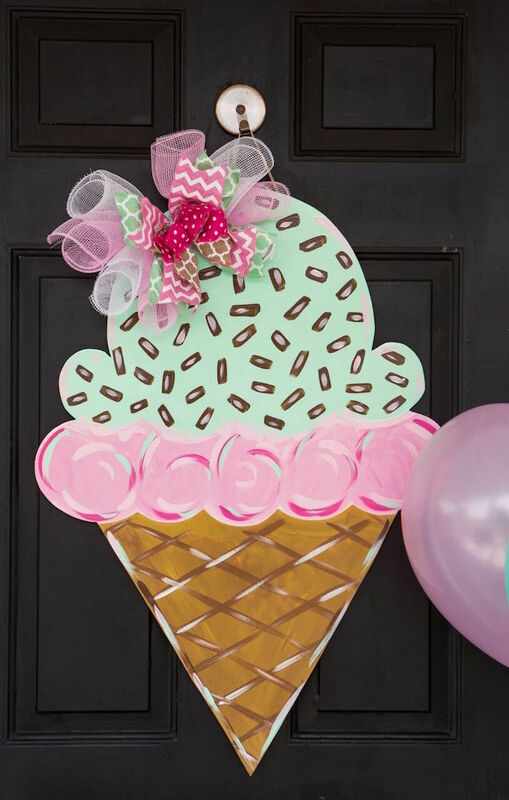 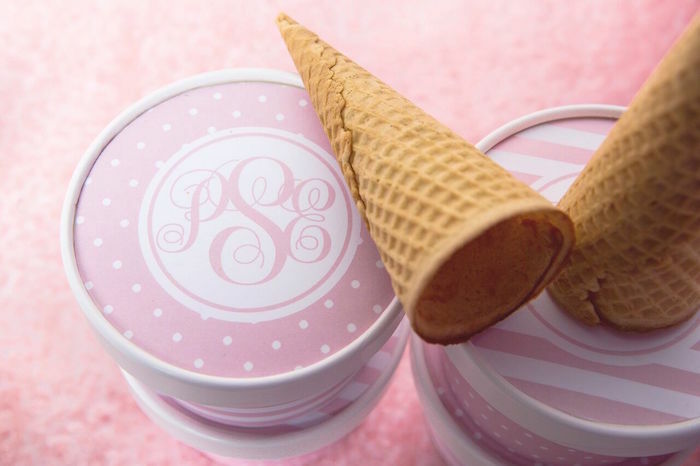 Since Presleighs birthday is right in the middle of summer, I couldnt think of a more perfect theme than Ice Cream! 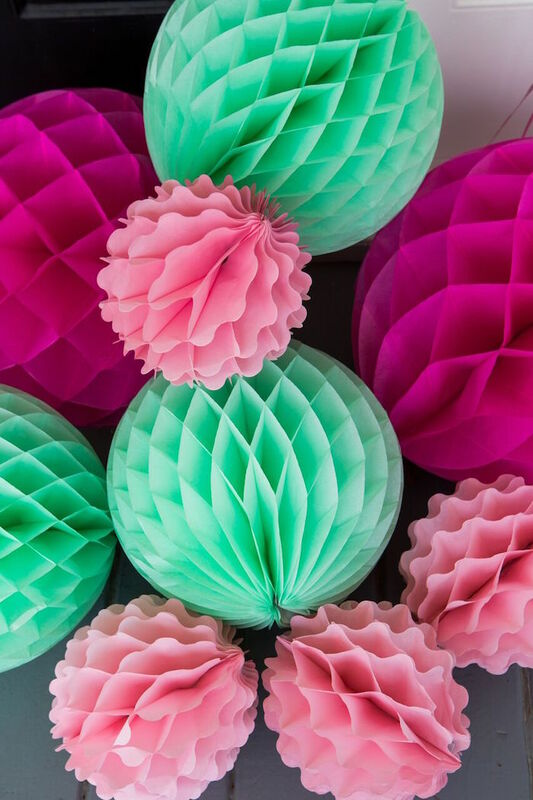 The next thing I did was to determine a color scheme. 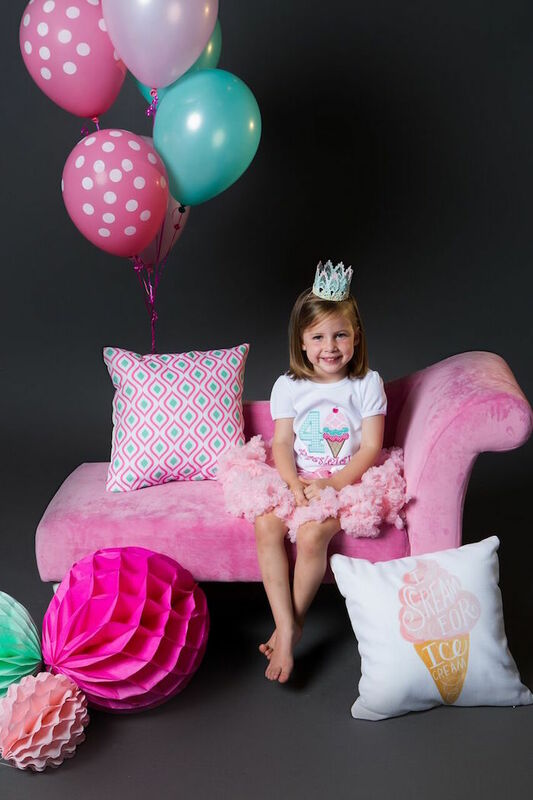 Presleighs favorite color is pink, so I included various shades of pink as well as mint green; I also tucked in there some hints of gold. 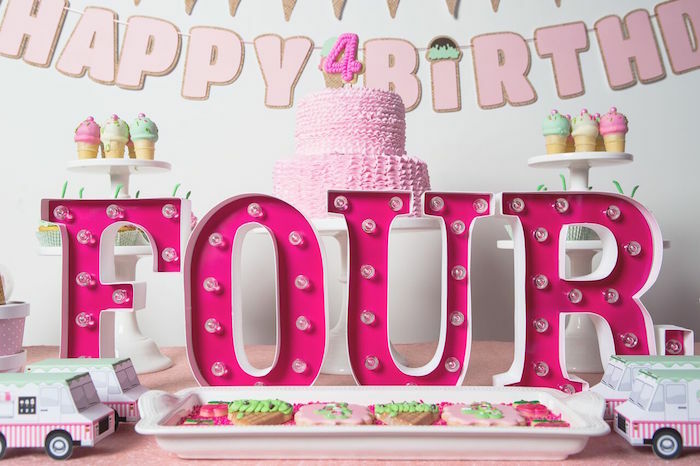 The colors came together beautifully! 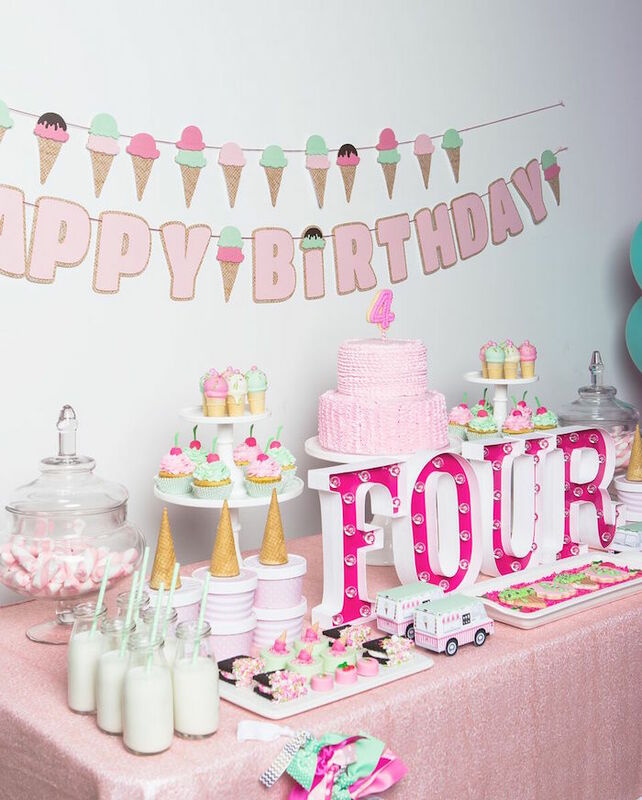 This party had a lot of different elements to it including a dessert table, guest table, photo booth, and a party entrance to die for! 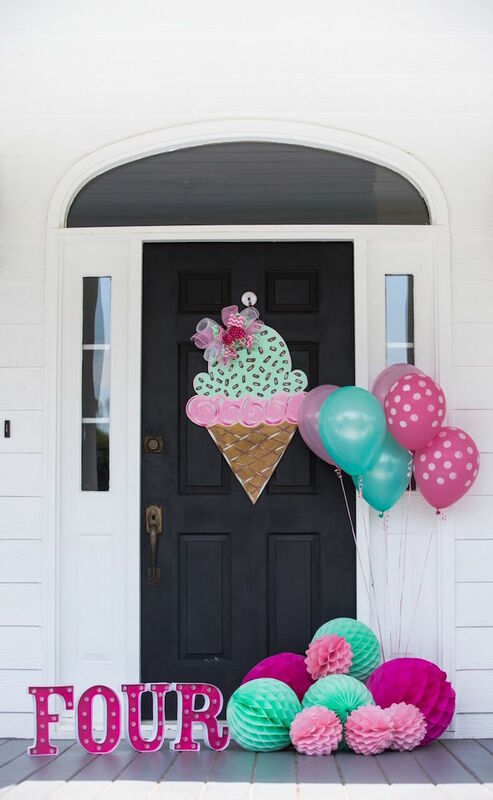 I loved creating a colorful party entrance for the party guests, and the oversized ice cream cone was the perfect piece for that. 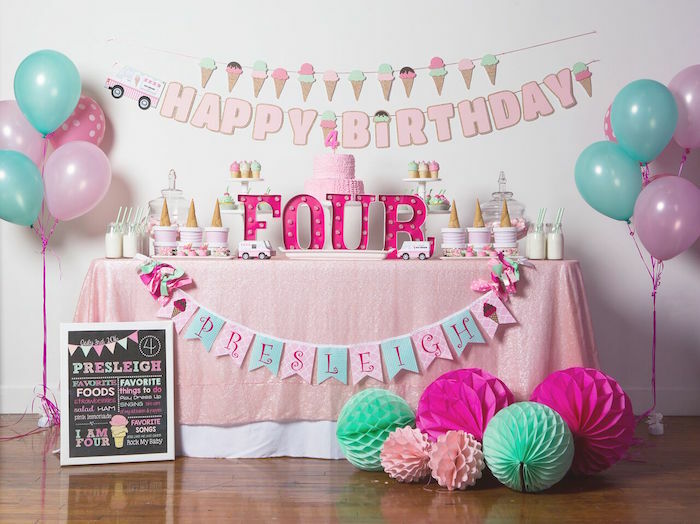 The dessert table was set up indoors. 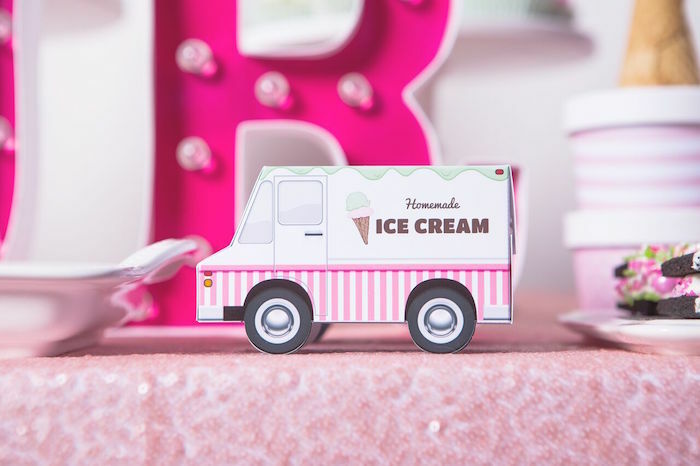 I hung a custom H appy Birthday ice cream themed banner to set the backdrop for the desserts; I love how the little ice cream truck looks as if it is pulling the letters behind. 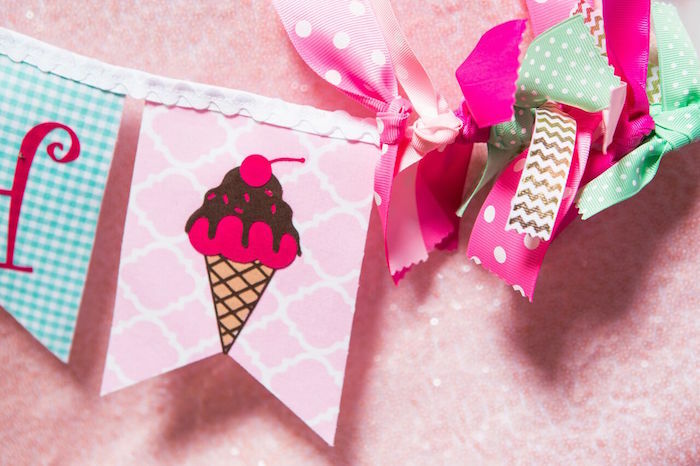 I am so smitten with this banner! 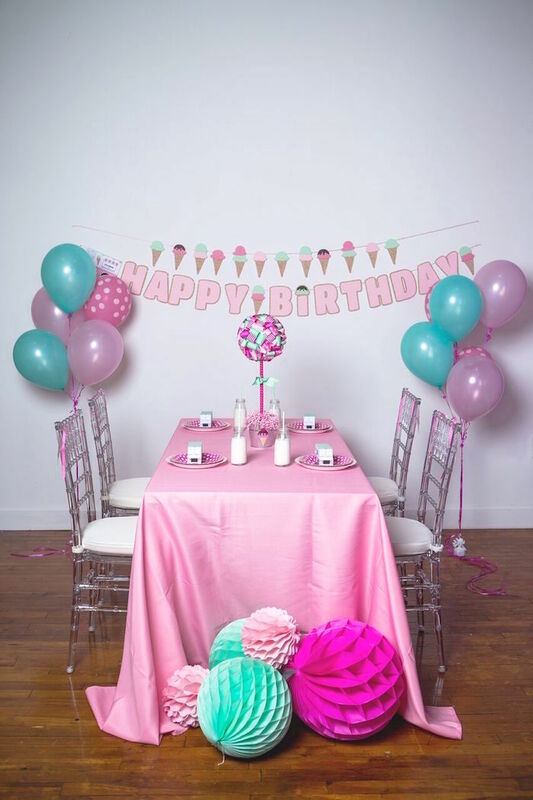 I also hung a custom name banner on the front of the table. 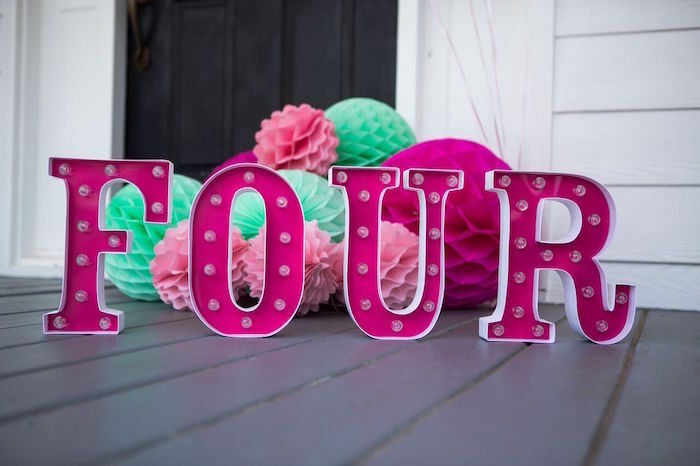 I love having personalized elements in a party; it is a fun party element that the guest of honor can use again and again after the party. 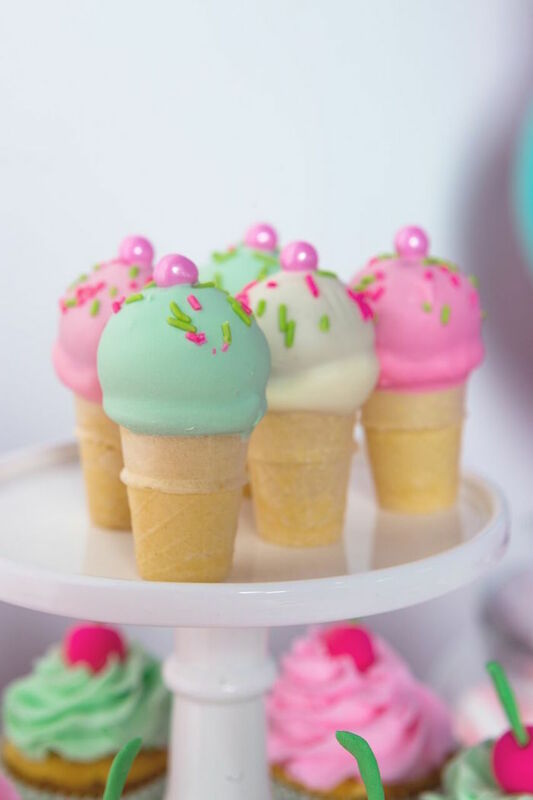 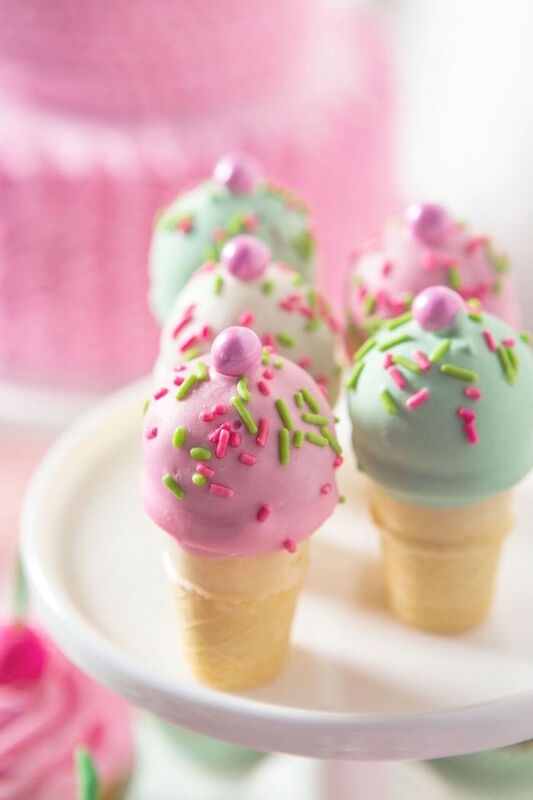 For all the yummy ice cream themed desserts, I think my favorite was the ice cream cone cake pops. 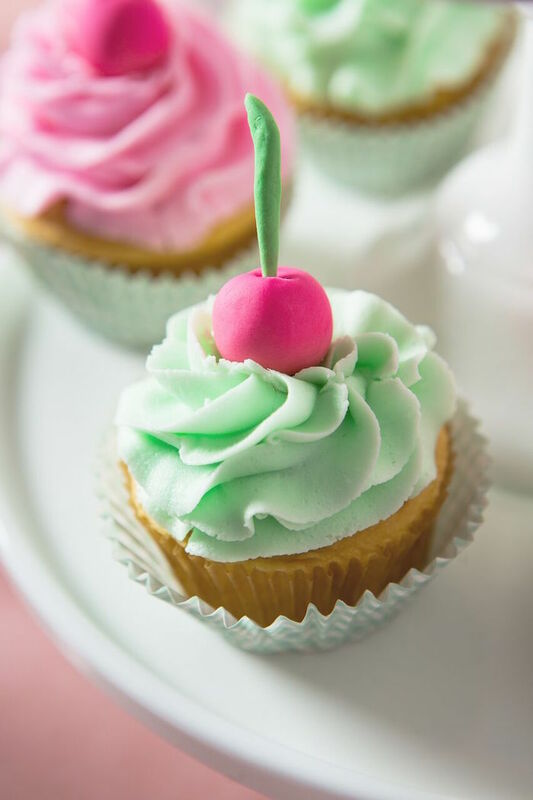 The hot pink fondant cherries atop the cupcakes were a close second. 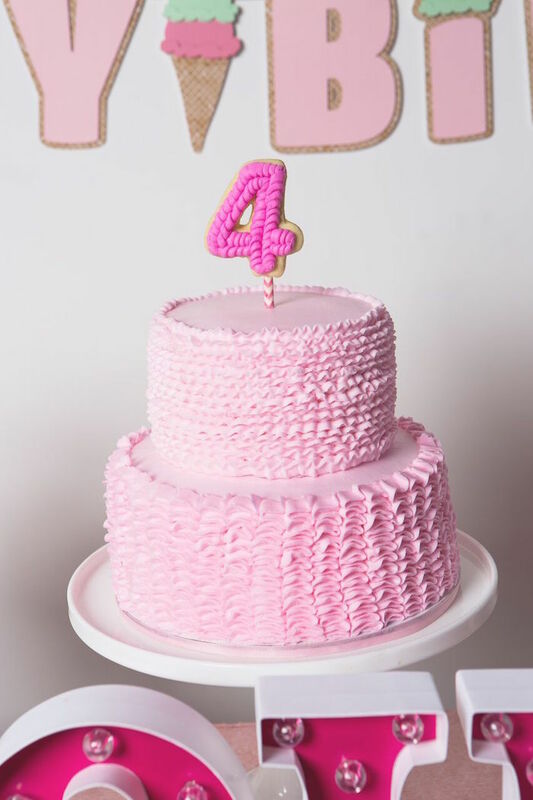 Everything came together just perfectly! 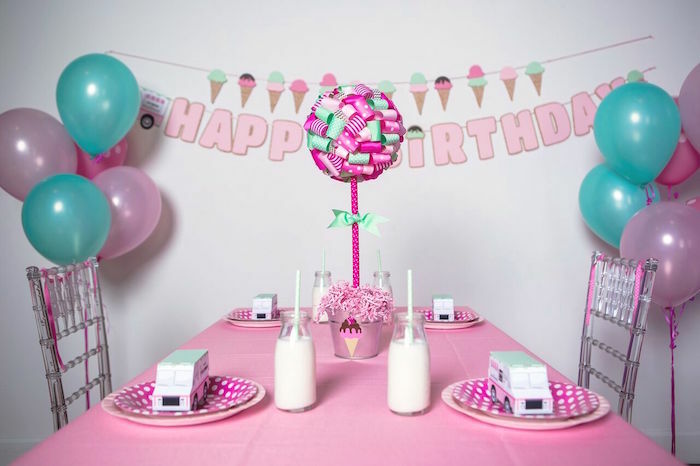 For the guest table, I kept it simple by decorating with a colorful centerpiece, milk bottles, party favors, and polka dot plates, and then I hung darling, little ice cream garlands on the back of each guests chair.